Style, fit and comfort are the highest priority for our fitting experts at You & Eye Optical. We recommend not only which frames suit you, but also your prescription, taking into account the frame size and shape, the style of the nosebridge, length of the temples and construction of the frame. There are options in eyeglass frame materials. Shell frames fit all the way around the bridge of your nose, making them hypo-allergenic, and light-weight, whilst making a statement. They are available in a large variety of colours, patterns and textures. The wider material in acetate frames can be useful in hiding the edge thickness of higher prescription lenses. Metal frames consist of monel, titanium, stainless steel and aluminium materials. These materials are robust and work well for most prescriptions. The metal nosepad arms at the bridge mean they can be adjusted to a more customised fit. Once again they are available in a large variety of shapes, sizes and colours. Semi-rimless frames have the rim only on the top half or bottom half of the frame making them more subtle and of a minimalist appearance. These frames can be a good compromise if you like the look of rimless but need a frame with more strength. Rimless eyewear appeals to men and women of all ages and has the cosmetic benefit of disappearance. They work well in glasses that you wear all the time, as they keep their shape better when you don’t take them on and off regularly. There are frames to cater for work, hobbies, sports, and everything else you do during your day. They might be hardened for safety, or wrap-around for cycling, or have a sports strap for soccer, or even a tiltable side for snooker. Styles and fits vary as much as your needs do! Of course you don’t have to limit yourself to one style. Just like shoes, different glasses do different jobs and portray different looks. A fancy design for a special occasion or outfit might not be the same look you want every day. It’s rare that one frame meets your needs all the time, so most people have more than one, even if that second pair is just a prescription sunglass. As you update your collection of frames each year you will build up a choice of recent frames which are (hopefully!) still in fashion, but some will be more casual and some more formal, some will be serious work glasses and some fun colours, some will be for all day and some just for the computer, so whatever you do, your glasses will be perfect. 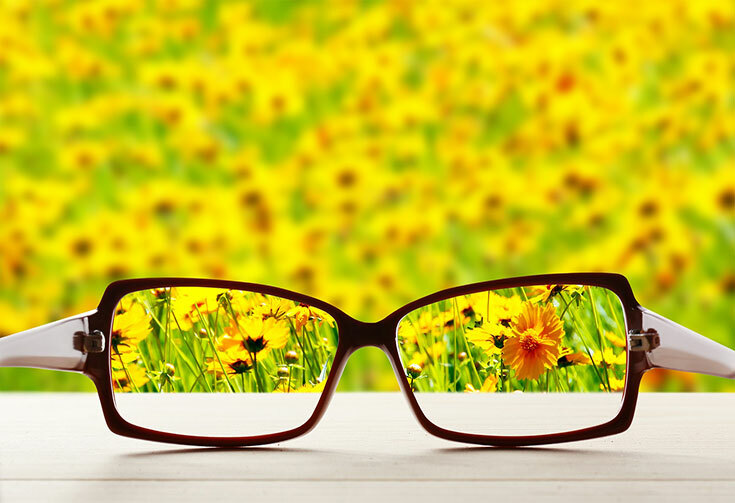 At You & Eye Optical we’ll help you find frames you’ll love.